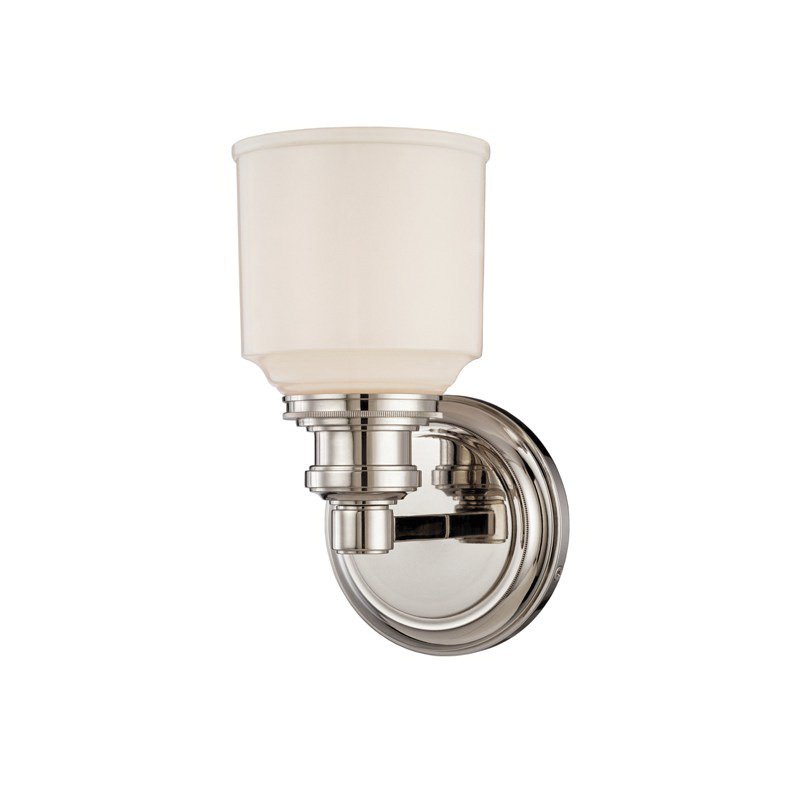 Hudson Valley Lighting Windham Collection Bath bracket light in polished nickel finish, has steel construction for decorative appearance. The opal glass shades with one incandescent lamp provides shiny look. It has a fixture power rating of 100-Watts and voltage rating of 120-Volts AC. This timeless elegance light measures 5.25-Inch x 9.75-Inch. The bracket light is UL listed.